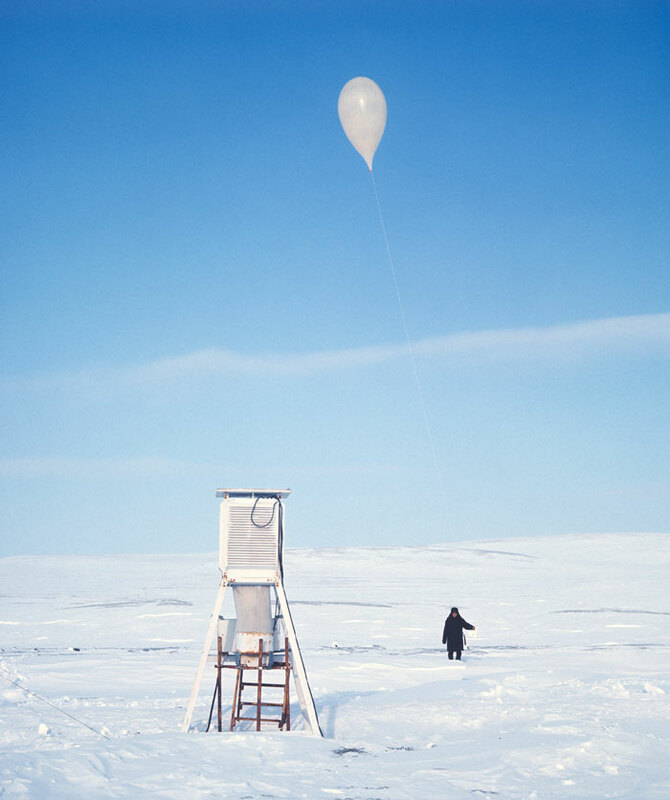 An employee checks the weather balloon at the upper-air synoptic station in the town of Chara, Eastern Siberia. 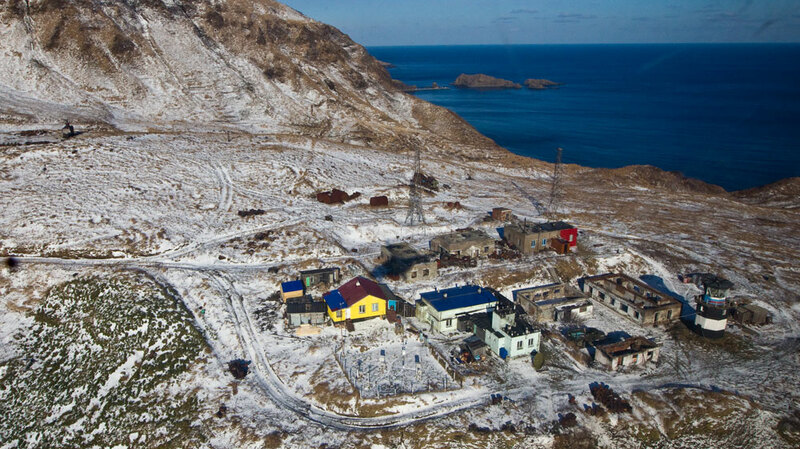 Russian meteorologists work under severe frost, in the highlands and on most remote islands. 1973. Meteorological station on Bering Island near Kamchatka. Often working under extreme conditions, meteorologists retain the pioneering spirit of intrepid explorers of uncharted lands. // Weather station on Moneron Island close to the Russian-Japanese border. 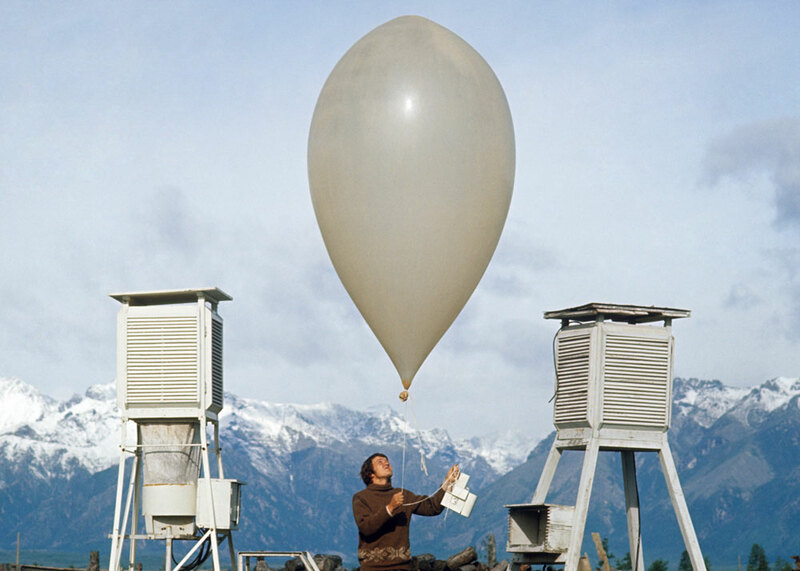 Weather stations can be found in the most remote places, including ice-bound islands in the Arctic Ocean and the world’s highest mountains. // 1957. 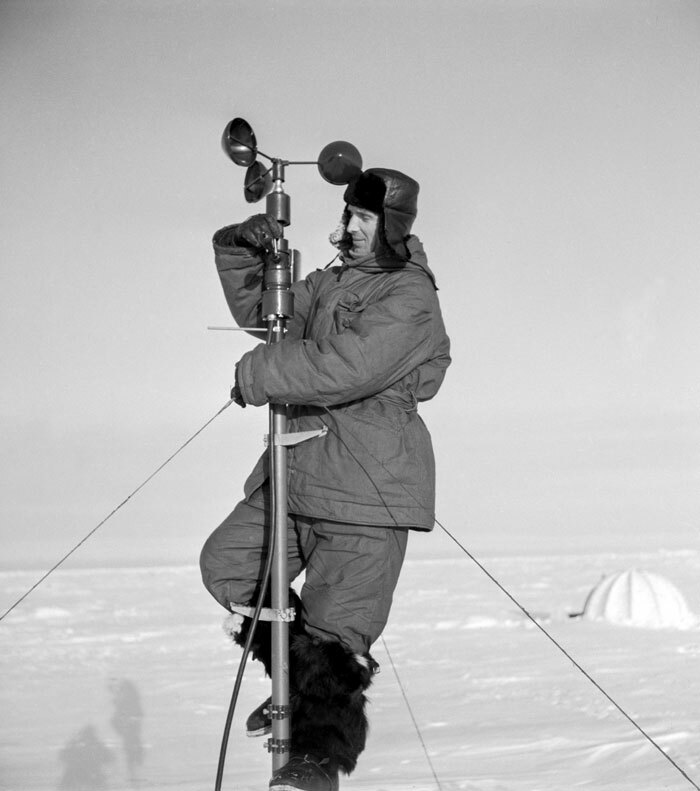 An employee at the “North Pole-5” drifting research station. 1977. 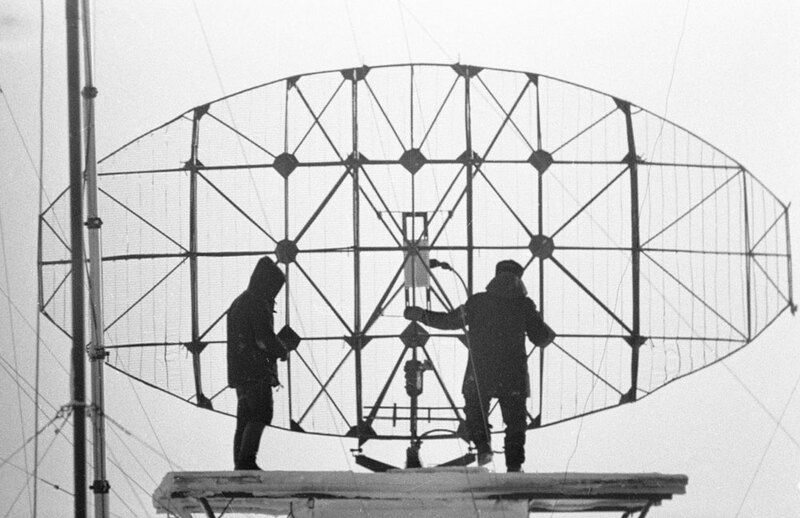 Meteorologists adjust the radar at the weather station on Cape Cheluskin, the northernmost point of Eurasia. 1981. 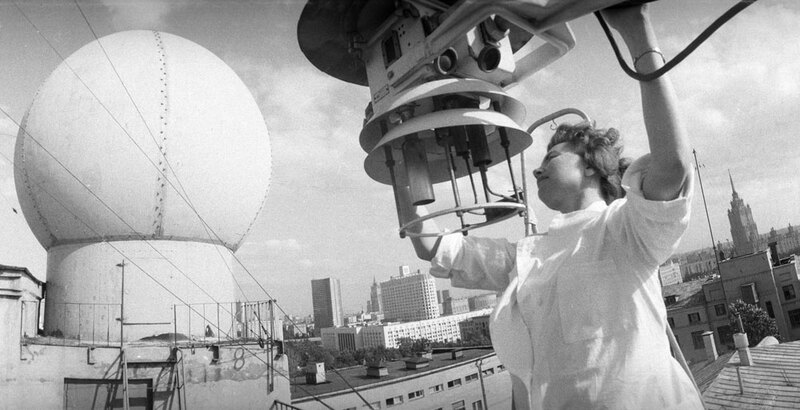 Automatic weather station in Moscow. With its vast territory Russia always needs to be on top of the weather. 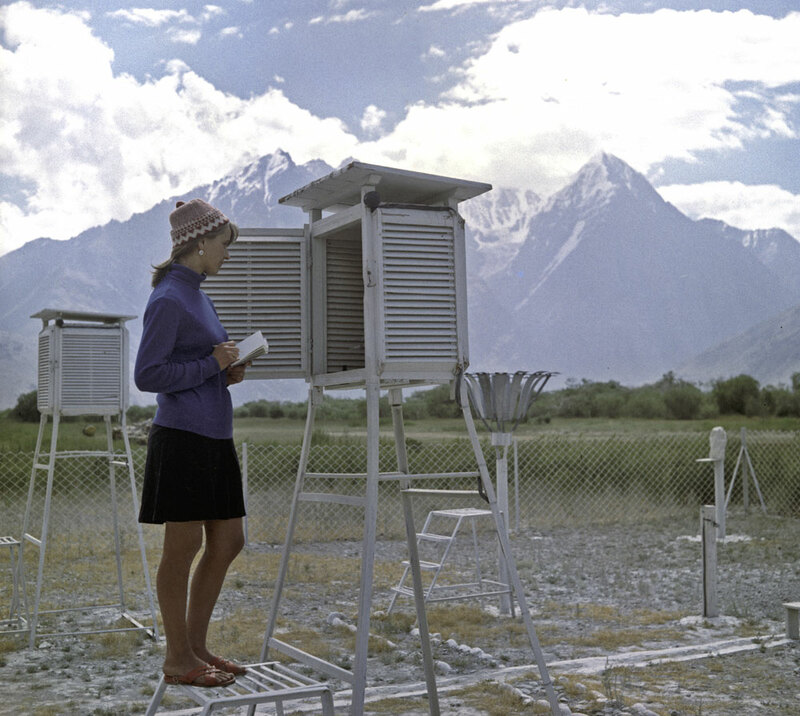 Therefore, Russian meteorologists celebrate World Meteorological Day with a deserved sense of self-worth. 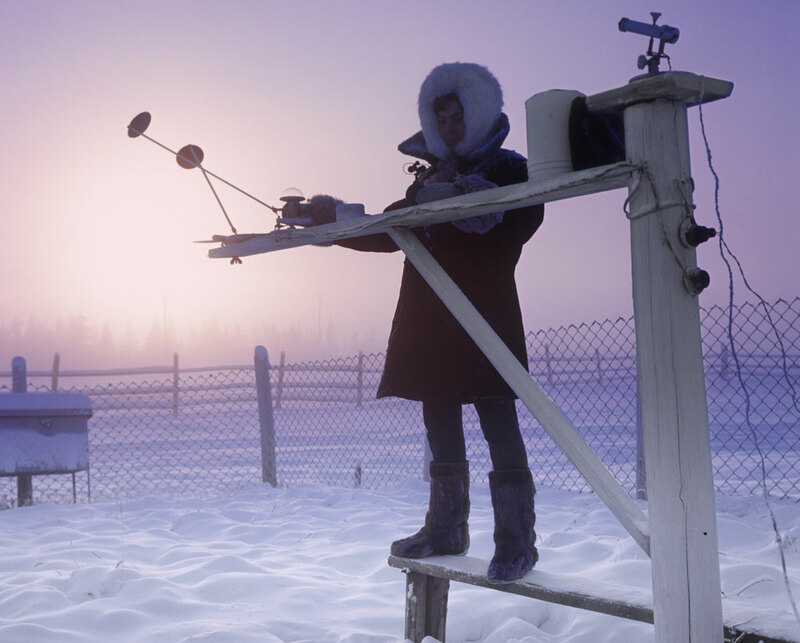 // Meteorologist Ludmila Furseva measures solar radiation at the weather station in Verkhoyansk, Yakutia. With its record low of −69.8 °C (-93.6ºF), Verkhoyansk is one of the places considered as the northern Pole of Cold. 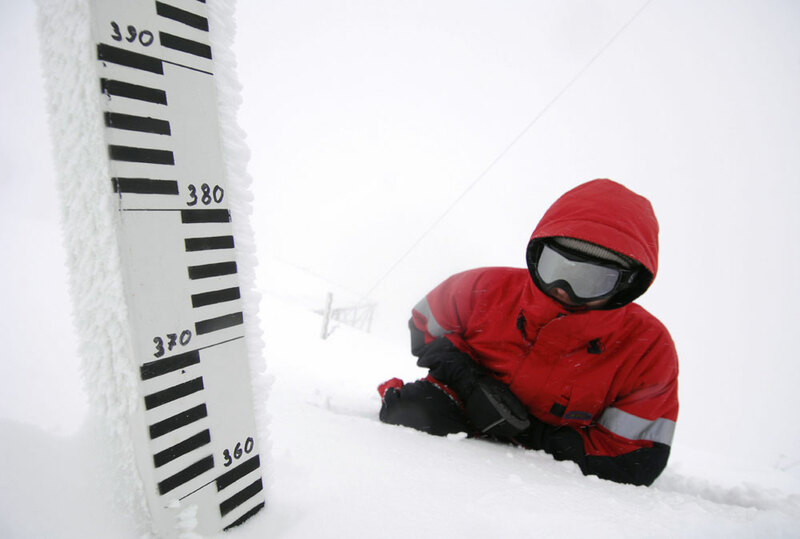 An employee measures the snow cover depth at the Aibga weather station in the Caucasus Mountains outside Sochi.